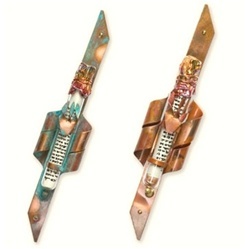 Gary Rosenthal creates this Mezuzah from sculpted mixed metals. 6”. Small parchment (Item #281) recommended. Parchment not included.